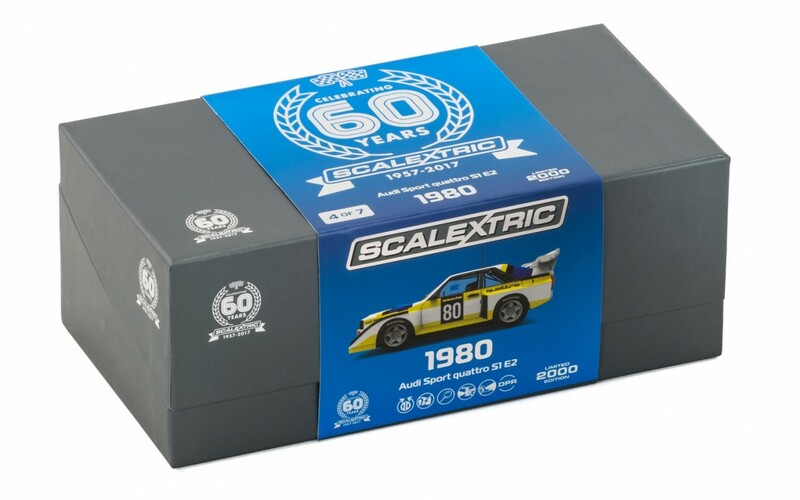 Scalextric Anniversary Collection Car #4 Limited Edition 2000 world wide. 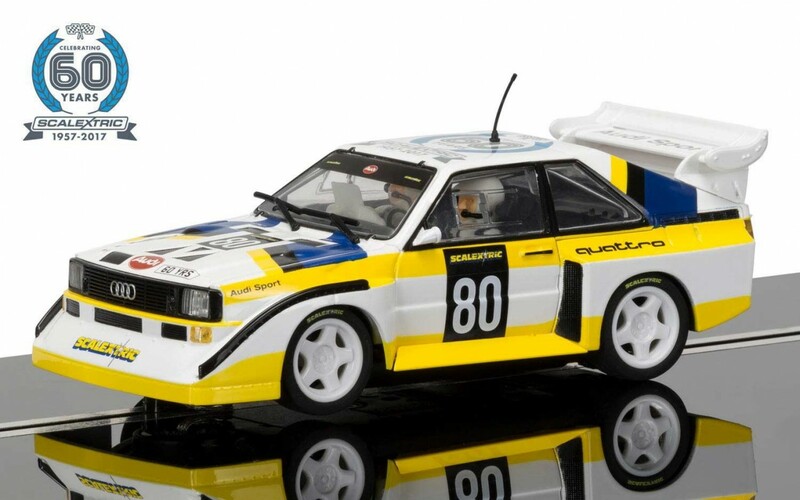 First issued in 1984 the original Scalextric Audi Quattro proved to be as big a hit on the Scalextric tracks of the nation as the original had been screaming through Scandinavian forests. 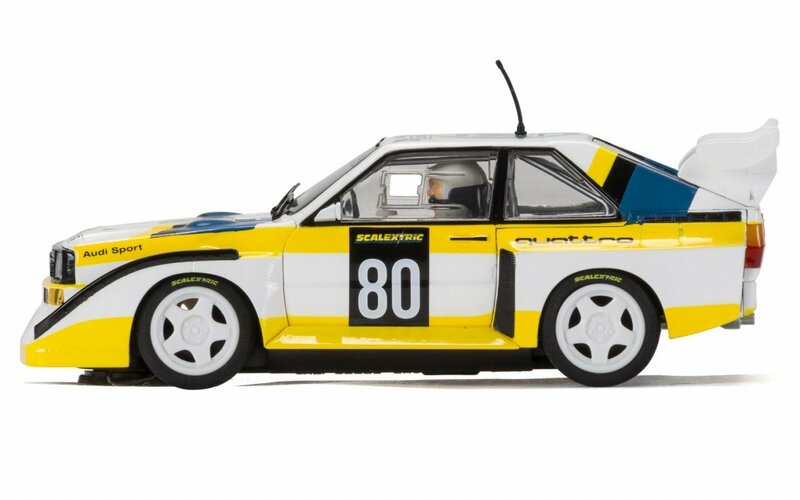 The 1980s saw Scalextric move into ever more inventive areas, with items such as ‘Blowout!’ and Racing Rigs bringing new excitement to the brand. Group B rally cars featured heavily as Ayrton Senna made his Scalextric debut towards the end of the decade in a JPS Lotus, alongside Mansell in a Williams. The Audi Sport quattro S1 E2 itself was introduced at the end of the 1985 as an update to the Audi Sport quattro; with the car sporting an inline turbo charged 5-cylinder engine. In addition to the improved power output, an aggressive aerodynamic kit was added that featured very distinctive wings and spoilers to the front and rear of the car to increase downforce. The S1 E2 did find some success with Walter Röhrl and Christian Geistdörfer winning the 1985 San Remo Rally, but with the Group B era coming to an end in 1986 after a series of tragic incidents, the quattro was consigned first to the Rallycross tracks, and then the history books.